by Darren Starwynn, O.M.D., Dipl. Ac. This article offers an overview of how low-level electrical stimulation (microcurrent) and customized color light can provide a facial rejuvenation treatment that not only significantly improves the appearance of the face, but promotes good health and vibrant energy as well. This new system is called Vibrational Beauty Therapy (VBT™), and has been developed by our research team in Phoenix, Arizona, with help from a national network of practitioners and consultants. Facial rejuvenation is a highly profitable cash service that has become very popular among American estheticians in recent years. Our faces reveal the health and balance of our internal organs, energy and blood. A person with a healthy, glowing face has good internal energy balance. Conversely, organic weaknesses and dysfunctions show in the face through dark circles, pale or luster-less skin, blemishes, acne, excessive wrinkling and other signs. This connection between our skin and internal organs has been referred to as the “viscero-cutaneous reflex” by researcher Felix Mann . He also describes the “cutaneo-viscero reflex” through which appropriate stimulation of acupuncture points on the skin surface can produce beneficial effects on the internal organs, glands and energy systems. There have been many systems of facial rejuvenation devised, all of which involve direct stimulation of the face with electrical stimulation, acupuncture needles, heat, massage, herbs or light. These systems work with various levels of effectiveness. The lifting and rejuvenating effects on the face take place through adjustment of muscle tone, detoxification and cleansing of the skin, stimulation of collagen production and adjustment of the energy meridian circuits that connect the face with the viscera. Most of these systems only stimulate the face, and usually apply electrical currents or light that is excessively intense for optimal results in balancing and enhancing subtle energy communication between the face and body. Lines and points on the face and other body regions are stimulated with a combination of low-frequency microcurrent electrical stimulation and various colors of light. Microcurrents work directly on the nerves, muscles fibers and blood circulation, and promotes collagen and elastin production. Color light works by enhancing subtle regulatory and cellular communication systems throughout the body. Clinical trials have demonstrated that this combination therapy can provide a superior, longer lasting facial than other available systems. Each VBT client receives application of a series of different colors of light during a session, including a customized color selected for her skin and body type. There are many manufacturers producing “photo-facial” units for the purpose of rejuvenating the face with light. In many cases these units do produce positive results, such as improved blood circulation, lymphatic drainage and wrinkle reduction. There is one serious drawback to these devices, however. Most of them only produce red or infra-red light. A few offer red and blue light. Red or infra-red can be highly beneficial for some skin types, and can produce rapid symptomatic changes. It is not for everyone, however. Clients have markedly different skin types and bodily constitutions. Just as red light can rejuvenate some skin types, it can prematurely age others. This “one size fits all” approach to facial rejuvenation is very limited, and can be dangerous. The VBT system utilizes 12 different color that can be easily matched to the individual client. Clients love this personalized approach to facials! While any form of generalized stimulation can help rejuvenate the face, results are usually better when treatment is directed through acupuncture points, which are bio-electric communication gateways. Acupuncture points have the remarkable ability to energize and activate not only the local region, but to also promote balance and health through whole-body effects. VBT utilizes a non-needle approach to acu-point stimulation using microcurrents and color light. Acupuncture points exist along energetic pathways called meridians. The meridians are a subtle energy communication system that inter-connects all parts of our bodies through the connective tissue network (fascia). According to the “as above – so below” principle, as our individual meridian system is in relation to the macrocosm (Universal energy grid) and microcosm (atomic and subatomic levels). The commonly known meridians of the body are named after our internal organs, as each one connects an organ to specific pathways in the muscles, connective tissue and, of course, the skin. The face has direct meridian connections to 8 of the major meridians of the body – those of the Stomach, Urinary Bladder, Large Intestine, Small Intestine, Triple Warmer, Gall Bladder, Du (Governing Vessel) and Ren (Conception Vessel). The face also has indirect connections to all the other meridians through micro-system connections and the Du and Ren vessels. Isn’t it interesting that, even on a very cold day, people bundled up in heavy coats can be comfortable with their faces exposed? This is due to the fact that so much of the body’s vital energy is projected onto the face through meridian system connections. This connection works both ways – not only does the face reflect the energy of the body, but stimulation of the face can also affect the whole body through the meridian system. All body functions are governed by electrical systems. This includes muscle contractions and relaxations, nerve function, glandular secretions, brain activity, healing and regeneration, pain perception and so much more. Because the body’s electrical control systems are based on very subtle electrical signals in the nano and microamp levels (billionth and millionth of amp ranges, respectively), it is true that vastly overpowering currents in the milliamp (thousandths of amp) range can be counterproductive to the aim of restoring internal balance. Yet this is the type of current used in most facial rejuvenation devices. While these “overkill” currents can make the face look temporarily better by artificially relaxing tense muscles in a similar way to Botox, such treatment will rarely provide satisfactory long-term effects, and may be counterproductive. Our research has shown that the acupuncture meridian system is rapidly balanced when stimulated with microcurrents in the 1 – 10 Hz frequency range. The Vibrational Beauty Therapy system primarily utilizes such currents for facial stimulation. It is fascinating that other researchers have determined that protein molecules also transmit subtle electrical signals throughout the body, an activity called semi-conduction. The eastern European researcher Albert Szent-Gyorgyi was the first to point out that the molecular structures of the human body are organized enough to support semi-conduction through passing information along chains of what have been called “liquid crystals”. Therefore both light energy and subtle electrical energy are transported throughout the body via chains of protein molecules. Our clinical experience confirms that that these two forms of energy stimulation may be administered together, and significantly enhance each other’s effects. After using the VBT system with hundreds of clients, the reported results are remarkable. The faces of clients who have received facial sessions with this system glow with positive life-force, and it shows! The specific effects of each color of light on the body have been documented by researchers such as Dinshah Ghadiali and Peter Mandel. Mandel uses the word “information” to describe the input of light on the body. In his view, external trauma, toxicity and psychological stresses of the past and present create “incoherent” information in our bodies. Giving appropriate colored light stimulation is a way to introduce pure information to restore coherence. We may call the call of the body/mind complex for needed colors “color hunger”. I have observed many people expressing a strong desire for a specific one of the twelve colors offered by the VBT system. As light of that color was applied to points on their body, they have often experienced immediate or delayed beneficial reactions, such as deep relaxation, mental clarity, increased energy or relief of various somatic symptoms. For example, orange colored light brings the information of activation, joy and release of fresh, new energy to meridians and body areas it is applied to, as well as possessing many specific benefits for relieving spasm and congestion and aiding calcium metabolism. When applied to appropriate acu-points, orange light can act as a natural anti-depressant. Blue light, the complementary color to orange, has anti-inflammatory effects on arthritis and burns, and is effective for calming nervous tension and overly charged emotional states. Red light is most activating to blood and energy circulation, and is appropriate for clients with sluggish or cold constitution. Red is usually contra-indicated, however, for clients with a ruddy complexion, Heat signs on the face or rosacea. The light spectrum moves from the most warming and activating colors – infrared and red – to the most cool and relaxing colors – violet and ultra-violet. Green is the fulcrum or balance point of the spectrum, and so is extensively used for balancing brain and body function and detoxification. How is Vibrational Beauty Therapy administered? A VBT session consists of up to 7 phases of treatment, administered to a client relaxing in a recliner chair or treatment table. Treatment is administered with a microcurrent device and light generator. The VB1000 device is designed to deliver this dual stimulation . The phases include various techniques using probes, pad and bar electrodes, electro-massage and mudd mask. 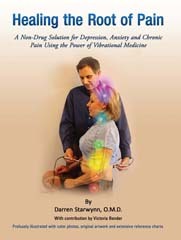 The practitioner simply follows the diagrams provided that show exactly where to move or place the treatment electrodes in each phase. A typical session, including all phases, lasts about an hour. In each phase of treatment, microcurrent and light are applied to different points and lines on the face, in conjunction with VBT skin care products. These are specially designed for use with vibrational electrical and light therapies. The product line includes bio-electric gel, moisturizer, healing mist, healing cream, cleanser and mudd mask. They contain blends of ionized water, pure aloe vera, virgin oils, gem essences, anti-oxidants and other all-natural ingredients that nurture and help restore the health and tone of the face. Gem essences are made of pure water that has been vibrationally charged with the energetic qualities of precious and semi-precious gemstones. Through the process of making gem essences, the healing and energy balancing frequencies contained in each gem are released and amplified into the water, then stabilized for ongoing usage. Each VBT product contains a unique and proprietary blend of 6 to 20 gem essences. The beneficial properties of each essence are further released into the body when colored light and microcurrent are passed through them on the skin surface. Complete training in the methods of VBT, including business and marketing considerations, is offered through East-West Seminars at locations throughout the United States. There have been many systems designed to serve the rapidly growing and highly profitable market for facial services. Most of them are cosmetic, that is, the effects are largely local and temporary. The electric currents and light stimulation used in most devices are strong enough to overpower the subtle bio-electricity of the face and its energy channels. This can have a negative long-term effect and may actually accelerate the aging process. The Vibrational Beauty Therapy system applies gentle microcurrents and a spectrum of beneficial colors of light to clients in a customized manner. Stimulation is applied through acupuncture points that communicate with the entire body. Treatment is given in conjunction with VBT skin products that work synergistically. VBT has been developed in response to the growing demand for de-aging beauty and healthcare services that work in harmony with the subtle energy systems of the body. About the author- Darren Starwynn, O.M.D. is a pioneer in the research and development of microcurrent and light therapy devices, and clinical techniques for their use. He has practiced acupuncture since 1982, and has had a strong focus on consciousness-based healing systems for most of his life. Dr. Starwynn is founder and President of Microcurrent Research, Inc., a Phoenix, Arizona based company that manufactures the Acutron Mentor device he has developed. He teaches extensively throughout the United States and abroad. 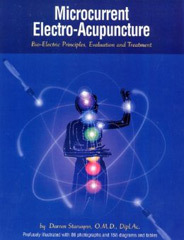 His book Microcurrent Electro-Acupuncture was released in 2002 to enthusiastic reviews, and is considered to be the primary reference text in this specialty.